This event is pay direct to venue. Cancelled. Apologies, this event will be rescheduled. 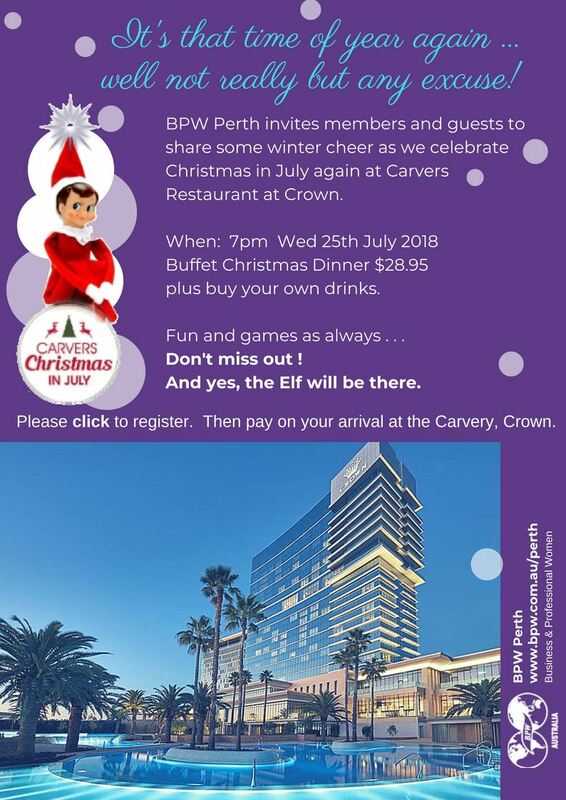 Time for some Christmas cheer with old friends and new, as the members of BPW Perth meet together to celebrate the achievements of another successful BPW year. Come and find out what BPW is all about and enjoy a Christmas Dinner with us. Crown members (free to join) pay only $22.95 for the Buffet.